One of the many reasons I love dogs so much is that they are unashamed of just how much they adore food. I can relate to that myself. Janice and Leroy love nothing more than to hang around under my feet while I try to cook for myself, but all the research shows that feeding your dog what you eat is a bad idea. However, just because you can’t give your dog what you eat, doesn’t mean you can’t give them “people food”. to our ingredients to make them palatable for us. Additionally, there are a few ingredients, like grapes, that are harmful for a dog’s organs. But basic plants and animal ingredients, such as plain sweet potatoes, are exactly what dogs should be eating. Quality dog food should be made largely of plant and animal ingredients. 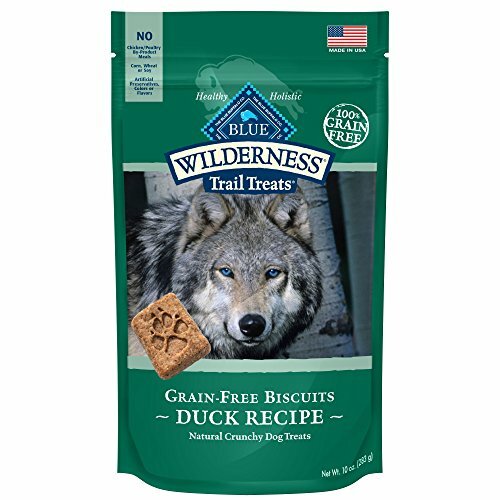 treats like the Blue Wilderness Duck Biscuits and Triumph’s Turkey Jerky. But it’s not hard to make homemade treats that go over just as well – and save your budget in the process. Here are 15 recipes that I have tried over the years, all with the Janice and Leroy seal of approval. Some of these recipes do require the use of a dehydrator, which is an easy-to-use kitchen accessory that is, in my opinion, well worth the minimal cost. You can make tons of food for yourself and your dogs with one of these things. After a few years of using a basic starter version, I’ve upgraded to this one. However, this more affordable Presto dehydrator works just as well. Cut the green tops off of fresh strawberries, and then dip them into plain, unsweetened yogurt. Lay the dipped strawberries onto a sheet pan and then freeze till the yogurt is hardened. You might want to put down some parchment paper on the pan – I learned that one the hard way! Cleaning frozen yogurt off your pan isn’t the best way to spend an afternoon. After the bites are all frozen solid, just toss one to your pup for a cool, sweet treat. It’s easy but my dogs love this one. The name of this homemade dog treat recipe makes me chuckle a little. It’s more appropriate to call this one “leftovers in a bag”, but you could take it hiking on a trail to make it more thematic if you wanted. All you need to do is grab any kind of plain cooked meat, plain cooked potatoes, plain cooked vegetables (no onions or tomatoes), and fresh or dried fruit (no grapes or raisins, and unsweetened if possible). Cut all these ingredients into pieces about half an inch thick, and then place in your food dehydrator. You can also spray the food with cooking spray and put into an oven on a very low temperature, about 200 degrees. Then just let the food sit in the dehydrator or oven until dried, and toss together in a bag for a dog-friendly trail mix. Those ingredients get you the base biscuit. To that, you can add whatever your pup likes. Try more eggs, chicken broth, bacon bits, liver powder, or shredded cheese for a few fun combinations. Preheat your oven to 350 degrees, then mix the ingredients. If you are using bouillon granules, dissolve in hot water first before mixing. Knead the mixture together until it forms a dough ball, and then roll out to about half an inch thick. Now you just cut out some shapes. A cookie cutter would work great, but honestly, I just cut them into bite-sized squares. The dogs never know. Put the pieces on a greased cookie sheet and cook for half an hour. Just like the recipe above, this dog biscuit is endlessly customizable. However, this one has just two ingredients, and can be mixed up together in under five minutes. The only reason I don’t use this one is because one of the ingredients is baby food, which isn’t something I’ve typically got laying around. However, it’s worth grabbing at the store if you are interested in making homemade dog biscuits in no time flat. You’ll need two cups of flour or oats, or a mix of the two that equals two cups. Then you’ll need two four-ounce jars of baby food. Go crazy with this one, baby food comes in all kinds of flavor combinations. 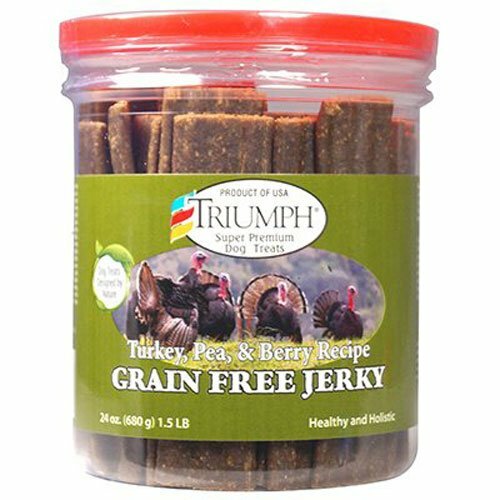 Janice and Leroy would probably love the full turkey dinner baby food, but you can also find beef, sweet potatoes, berries, and other types of flavors. Preheat your oven to 350 degrees, then mix those two ingredients together. If the dough is too stiff to work with, you may need to add just a bit of water or more baby food. Then roll the dough out until it’s about half an inch thick, cut into whatever shape you desire, and bake for 20 to 25 minutes. Presto! Preheat your oven to 350 degrees, and mash the banana up in a bowl. Honestly, I usually just triple this recipe so I can use up a whole banana. Once it’s all mashed, add the rest of the ingredients and blend together until you have a thick, gooey batter. Line the cookie sheet with parchment paper, and plop down some dollops of batter, just like you would if you were making cookies the lazy way. Then bake in the oven for five minutes, turn the pan, and bake for another five minutes. Preheat your oven to 350 degrees, and then line a jellyroll pan with parchment paper. Mix all ingredients together, either by hand or in the food processor till smooth. Spread in the pan, and bake for 15 minutes. The center should be firm when it’s finished. After the treat cake is cool, cut into squares or cute shapes, whatever your heart desires. You’ll end up with something very much like a spongey brownie, and it’s best to keep these in the fridge because they have meat ingredients. Preheat your oven to 250 degrees. Combine the flour and cheese, then stir in the liquids. Add oil till the dough is soft and can be rolled out to about 3/8 inches thick. Cut into whatever shapes you please, and then bake for about three hours, until the biscuits are totally dry and crumbly. If you want to reduce the oil content and add some extra protein, you can also add one egg to the dough when you add the liquids. Summertime means hot dogs, quite literally. Janice and Leroy aren’t fans of the extreme heat, and I can’t blame them. One way to cool them down is to give them ice cubes, but I like to spice things up every now and again. This treat is tasty and cooling, and there’s no combination my dogs like more. 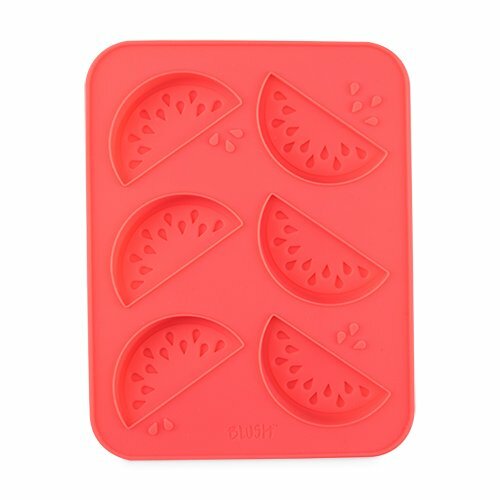 All you need to do is puree some watermelon chunks, then mix with a little bit of unsweetened coconut milk or coconut water, and pour into an ice tray. Freeze, pop the ice cubes out of the tray, and toss one to your dogs! I’ve seen this idea floating around the Internet with honey involved, but it’s important to remember that honey is not a safe ingredient to give to puppies and younger dogs. Plus, watermelon is sweet enough to satisfy even Leroy, so why add the extra sugar? I did see one blogger using a watermelon-shaped ice tray like this one for this treat, just to make it a little more fun for your dog. Be sure that you understand your dog’s specific dietary needs, as well. Diabetic dogs shouldn’t be given excess sugar, and their carbohydrate consumption should be monitored as well. Keep these guidelines in mind, and your pup should be just fine with these homemade dog treats.